15 years on from its inception, the International School Athletics Championship, more commonly known as ISAC, has gone from strength to strength and will hold its 16th successive meet at the Mahinda Rajapaksa Stadium in Diyagama from 4-6 March. With roughly 3,000 athletes from 25 international schools competing, this year’s championships are expected to be the largest yet. Lyceum International School Nugegoda is in charge of organising this year’s meet, its seventh time hosting the event, and it will signal the start of a three-year hosting cycle. It takes over from Gateway College, which along with Lyceum have alternated hosting duties every three years since the inaugural meet in 2001. 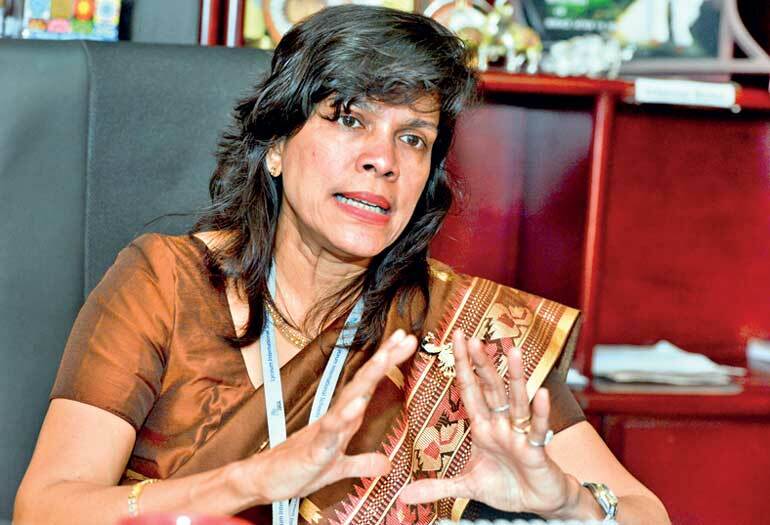 According to Lyceum Nugegoda Principal Kumari Grero, this is mainly down to the fact that hosting and organising an athletics meet of this magnitude requires a large work force and is financially beyond most other international schools. Nevertheless, she says this has resulted in a great working relationship between Lyceum and Gateway. And this year’s meet will be no different; a key improvement will see the points gained from the Under-20 category to be added to each school’s overall points total for the first time. The 2016 meet will also see scoring revert to a points system after a brief flirtation with the medals system last year. “Some schools are small, so they don’t have enough participants to send. So then their points are much less with the points system, and this results in the students becoming demotivated,” reveals Grero. “To motivate the smaller schools we thought we’d have the medals system, but with that system a lot of gold medals started to go to the bigger schools. It didn’t work out as expected, as only the top three finishers in a respective discipline were represented in the scoring system. The points system also enables mini-competitions to take place between the weaker schools, for their own respective bragging rights,” she adds. The reasoning behind the switch lays bare a hard truth for ISAC, which despite how far the competition has come in the last decade and a half, there is still a major problem among a majority of international schools when it comes to prioritising and succeeding consistently in athletics. But Grero says that this is not a new problem. Indeed, seeing international school students perform well at the national level is somewhat more common these days, yet one look at the top tier of the national talent pool and those very same athletes are only conspicuous by their absence. Grero though feels that, while the sheer numbers advantage Government schools have makes it more challenging for international school students to break through, there is still a considerable amount of talent that is untapped. This feeling is bound to the fact that two schools have won 14 of the 15 Championships held; dominance such as this, while greatly satisfying for the respective schools, highlights a gulf in the standards of athletes being produced by most international schools. And according to Grero, Lyceum were in the same boat not so long ago. “The first three or so years Lyceum were nowhere, they were bottom, despite being part of the organising group. Belvoir was good, CIS was very good. Gateway and Royal Institute were up there. But after about five to six years Lyceum climbed the ladder and Lyceum Wattala excelled.” Lyceum Wattala is definitely the jewel in Lyceum’s crown. There are four Lyceum schools – Nugegoda being the first – but Wattala was the first planned school. This meant it had its own ground in addition to Lyceum’s already revolutionary focus on sports. The result is that Lyceum Wattala are the reigning champions having won ISAC for the past seven years. “We give all of our extracurricular activities free of charge. We look after the students to that extent so as to motivate them,” notes Grero. “In the beginning the students were not really motivated to take part, and we were wondering how to motivate the students at the parents to join. Along with the numerous motivational seminars for students and parents alike, these are lessons that all international schools must take heed of if they yearn for the same sort of success. Especially since, as Grero notes, it gets easier to motivate the students with time as competition becomes fiercer. However, there are still hurdles to overcome that are beyond the means of each individual school. Of the 25 schools that are a part of TISSL (The International Schools of Sri Lanka) 20 are from Colombo. This makes it very difficult logistically for all the international schools to book and use grounds for training. “One of the biggest problems international schools face is that of not having enough good grounds to train on, especially the Colombo schools. If we can get a common ground that all the international schools can utilise it would be very helpful. At the moment all the grounds are booked regularly,” says Grero. The Lyceum Nugegoda Principal’s plea for improved facilities and help is one she hopes the Government will give serious consideration to, especially on account of the increasingly significant portion of the student population that frequent international schools.